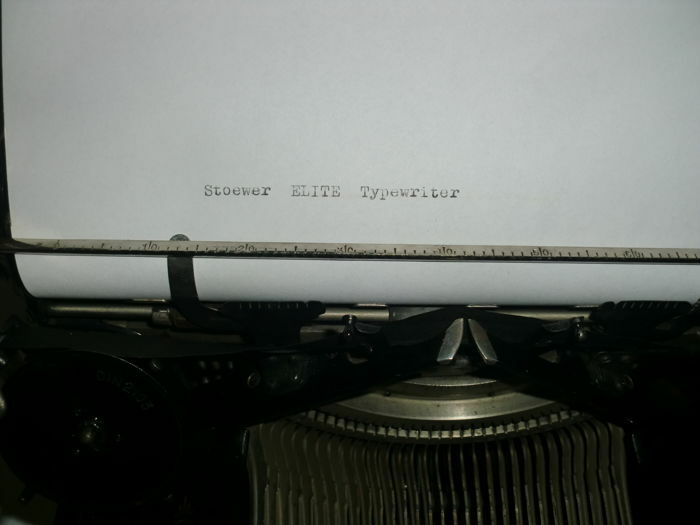 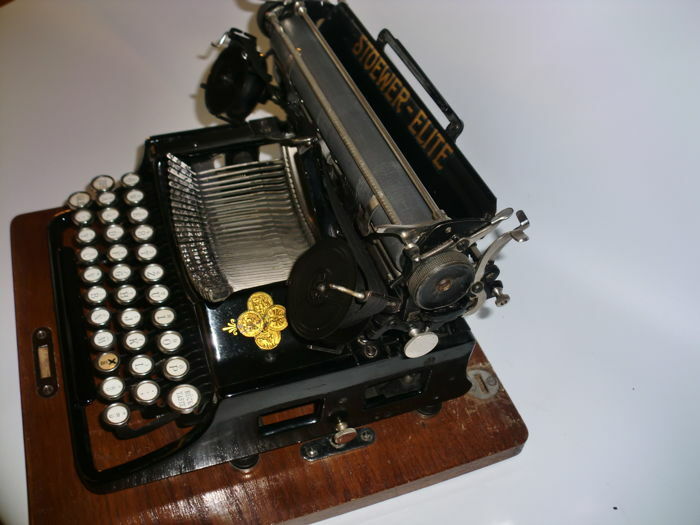 Rare Stoewer Elite typewriter, in very good condition and good function, very interesting three-rowed German portable. 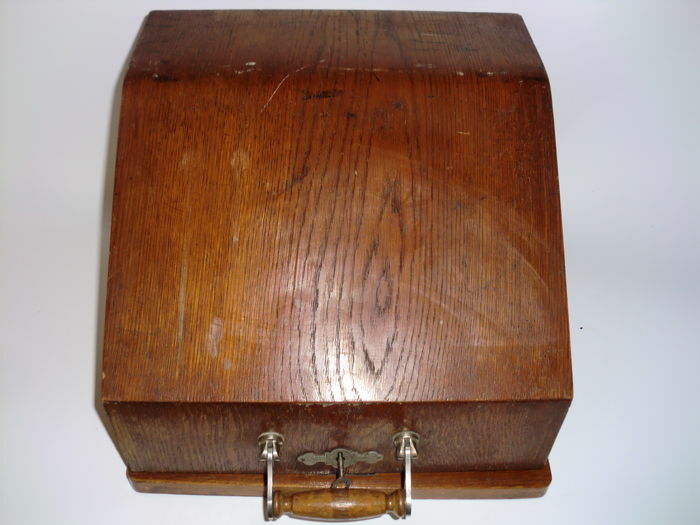 Manufacturer of the device was the "Nähmaschinen- und Fahrräder-Fabrik Bernhard Stoewer A.G." in Stettin, which went back to Bernhard Stoewer (1834-1908). 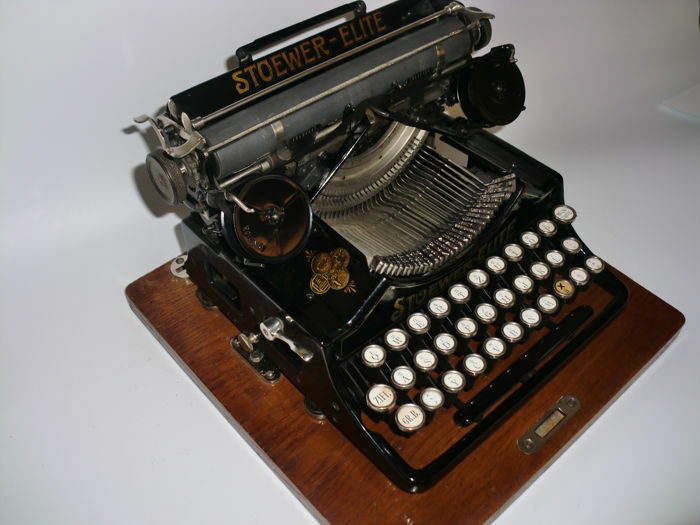 Manufactured by Paul Grützmann, who already built the "Kanzler". 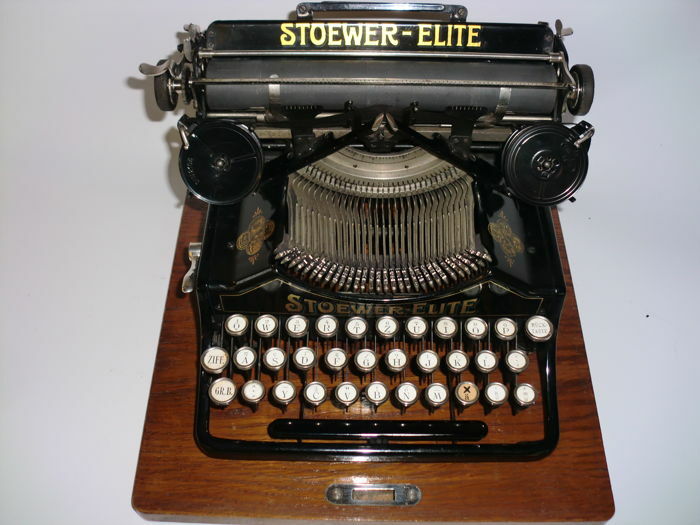 Stoewer typewriters have been on the market since 1903. 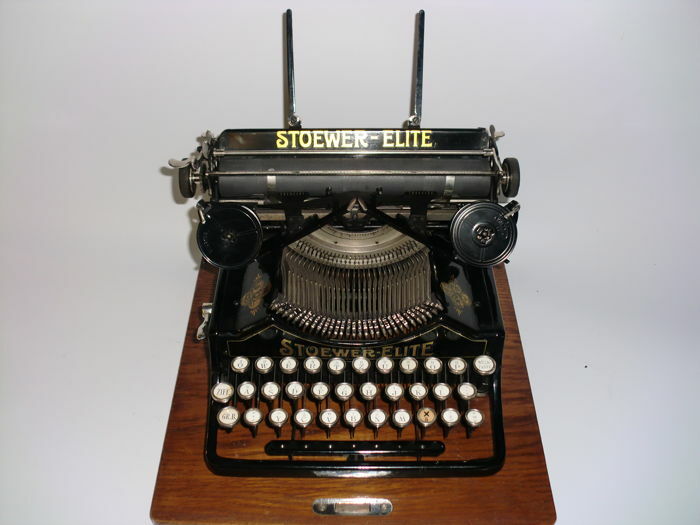 The "Stoewer Elite", a smaller model that could be transported in a wooden case and could be used also as a travel typewriter, was built from 1912 onwards. 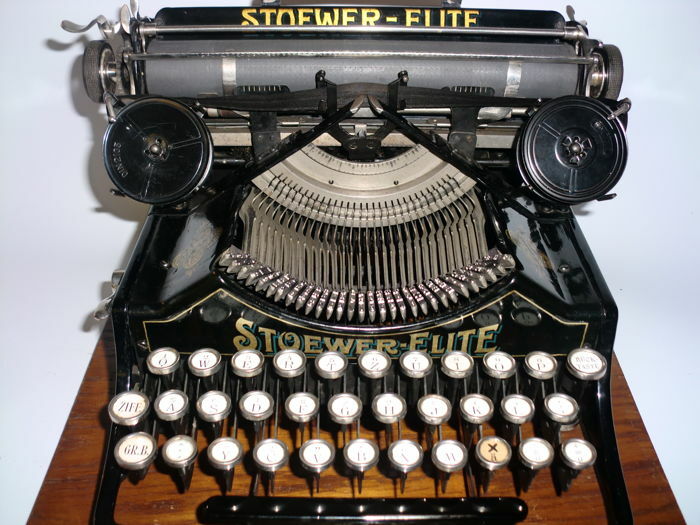 The type lever device has double switching (so-called third keyboard), which means that each type lever had three characters. 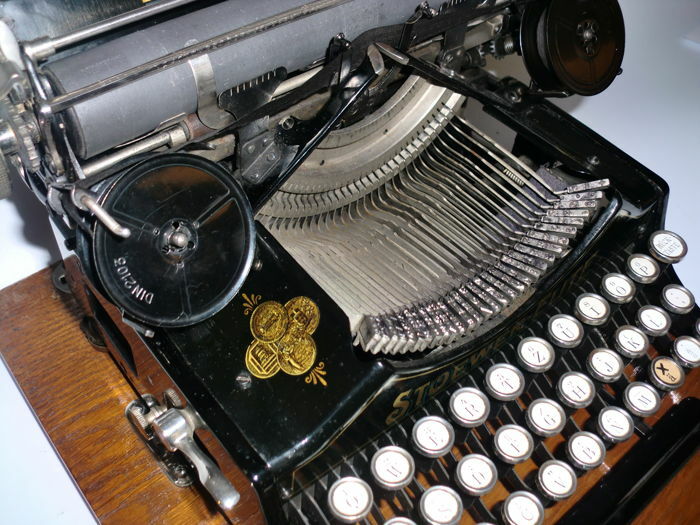 Accordingly, three different characters could be brought onto the paper with each key using two shift keys. 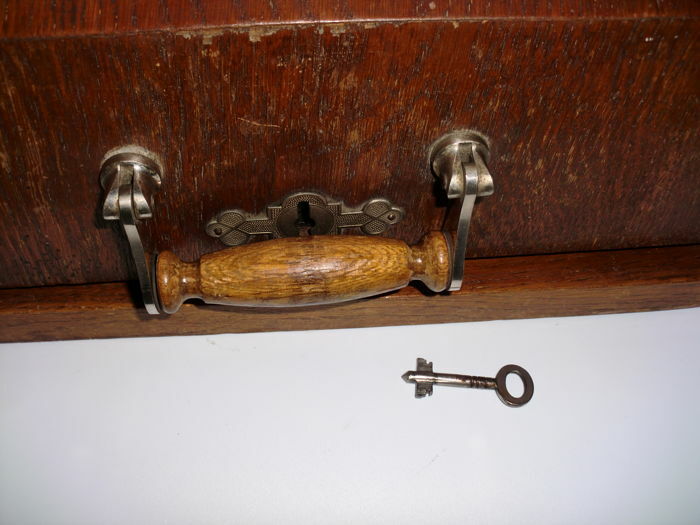 U kunt dit kavel ook ophalen bij de verkoper: Vohenstrauß (), Duitsland.